Shah Rukh Khan acquired the remake rights of Kamal Haasan's Hey Ram, in which he had an extended cameo, reports Mumbai Mirror. 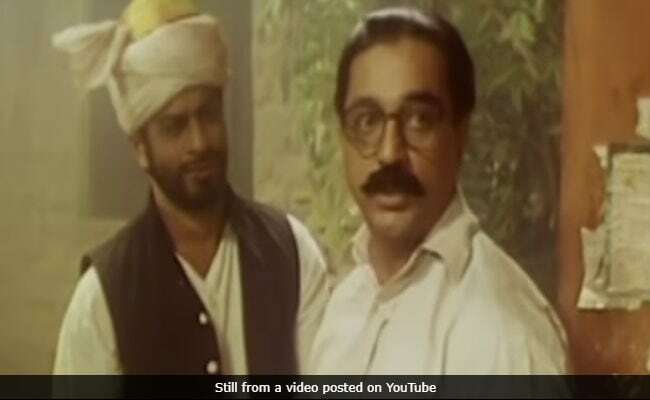 Kamal Haasan told Mumbai Mirror: "I am glad that he got the Hindi rights of Hey Ram from Bharat bhai (co-producer Bharat Shah). He should have some memory of the film as he gave his friendship and service for it." Kamal Haasan also told Mumbai Mirror that he gave Shah Rukh a wristwatch as remuneration for his role in the film because "by the end of it, I had nothing left in hand. Now, he is the brand ambassador for a watch brand." Hey Ram was written, directed and produced by Kamal Haasan. Hey Ram, which released in 2000, incorporated several controversial events from the Indian history (such as the destruction of the Babri Mosque in Ayodhya, the Partition of India and Mahatma Gandhi's assassination) in the story line. Shah Rukh played the role of Amjad Ali Khan, a friend of Saket Ram (Kamal Haasan), whose death alters a crucial decision and changes the course of Ram's life. Hey Ram was simultaneously made in Hindi and Tamil languages. Kamal Haasan and Shah Rukh khan recently met at a film seminar where Hollywood director Christopher Nolan was the chief guest and speaker. Before the event, Kamal Haasan met Mr Nolan and gave him a digital copy of Hey Ram. Both SRK and Kamal Haasan shared the pictures they took with the Inception director on social media. Kamal Haasan is currently awaiting the release of Vishwaroopam 2 and he's also completing Sabaash Naidu. Shah Rukh Khan's work-in-progress film is Zero, directed by Aanand L Rai. The film also stars Anushka Sharma and Katrina Kaif.